The band played a John Mayer song at church yesterday… and it was awesome. Now I know this whole ‘the church and secular music’ this has been done and overdone many times. However I hope to give a new perspective on it specifically dealing with playing secular songs in church. Let’s start with a scenario… You decide to go for a stroll in the park and stumble across some beautiful flowers. You are in awe and immediately pull out your phone to document the beauty (because, if you don’t Instagram it, did you really see it?) You start to give God praise for the beautiful flowers…….. but first you need to do your research. Were these flowers planted by a Christian? Did the person who planted these flowers plant them with the intention of honoring God with their beauty? I know, it sounds ridiculous. So why do we do this with music? If we only give God glory for explicitly Christian things, we are thieves. That statement really rocked my world. If I am feeling moved by a melody or the voice of an artist or believe the words they are singing are truth, why does it matter if they wrote the song to honor God? Doesn’t that show the unbelievable power of Christ that He can get glory and praise from a song that wasn’t even intended to do so? Not to mention, every talent of singing or writing or playing or making music comes from The Lord. I recently had lunch with a friend who spent her summer interning at a church. She said that one of the things she learned this summer was “that the Kingdom of God should do nothing short of sin in order to bring others to Christ” she talked about never wanting to be apart of a church that catered to believers. If a nonbeliever was sitting in my church on Sunday and they heard that song by John Mayer, what would they think? It was a popular song, sung beautifully, and went along well with the message the pastor gave later. Think about how a nonbeliever would feel in that moment. I think they would feel immediately connected and comfortable – really! Think about how you feel when the worship pastor introduces a new song… that is how someone new to church feels at every song. Yet here is something familiar. They can make a connection – and it might even allow them to connect it with the sermon. Jesus points out that it is does not matter where you are or the songs you sing, as long as your heart is worshiping in the spirit. 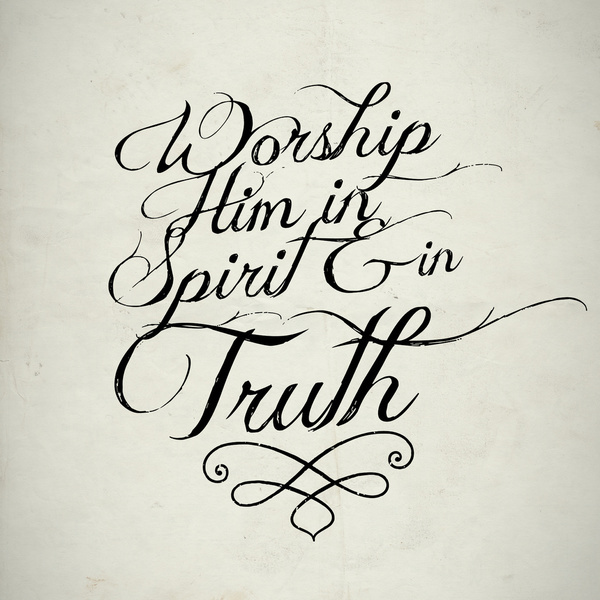 If a song is speaking truth, and you are worshiping with the spirit, it is honoring God and you can give all the praise and glory to the Father. Even if you are listening to “Say What You Need To Say” by John Mayer. A few months ago I had friends who were “church shopping.” After attending my church on Easter Sunday I asked them how they liked it. They responded by saying that they enjoyed the sermon but they weren’t planning on returning because at the beginning of the service, when people were being seated and waiting for things to start, the band was playing and singing the song “Happy” by Pharrell. Since then I have been very curious and prayerful about the idea of “secular music” in the church. I have created conversation with those close to me about how they feel about it and I have observed people in my own church and their reactions when we listen to songs that aren’t explicitly Christian. I’ll be honest, for a while it really bothered me. My heart was torn between it being okay, and it being obviously not okay because people who had been raised in Christian homes turned away from our church because of it. Finally, I felt God answer my restless heart. There are plenty of churches for Christians. But my church, the church I want to be apart of, is a church that revolves around non-Christians. It shouldn’t bother me that believers didn’t want to come to my church, because I want to be apart of a church that caters specifically to nonbelievers and does nothing short of sin to bring them to Christ. If listening to a “secular” song in church makes you uncomfortable, good. Reaching into the lives of non-Christians should make you uncomfortable, because their lifestyle does not reflect yours. But we were not called to be comfortable and sing the same 20th century songs every Sunday morning. We are called to reach out and touch the lives of others in order to show them Christ. And if that means listening to a cool jam at church in order to appeal to nonbelievers, I’m up for the task. Blog inspired by Jesus>Religion by Jefferson Bethke.